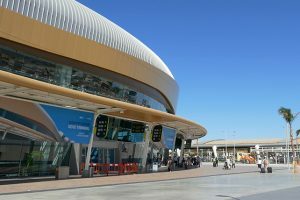 Energy IN TIME Consortium concludes the Project which started four years ago around energy efficiency in non-residential buildings by presenting the results at the International Airport of Faro, Portugal. The place was chosen on purpose since this is one of the four demo sites deployed at the beginning of this conjoint Project. The airport, as a non-residential building, presents some interesting patterns and characteristics to analyse before and after the implementation of the technological solutions aimed at energy consumption optimization and savings. 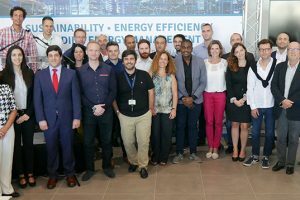 The presentations were done by several EiT Project Partners, such as CIT, IES, CSTB and ACCIONA, and this time they were slightly different from the usual reports carried out in so many meetings that have been held during the last four years. The event was addressed to a broader audience and not only scientific, that is why the Partners considered it relevant to stress the practical side of the study and show the eventual future lines of development and even commercialization. ACCIONA Construcción, the Project Leader, opened the event speaking about the urgent need of introduction of new models of energy consumption management on all levels. The company has been working in this area for a long time and all the advances in this kind of research are always very important for our society. The Energy In Time Project is a clear example of this approach bringing together the expertise of many professionals and scientists to find new ways to organize management of energy sources, generally speaking, and suggest the optimization of their consumption in certain environment like non-residential buildings, in particular. ANA Aeroportos Portugal, the event organizer, emphasized the EiT Project interaction in Faro Airport. All the partners explained the benefits of the project and future strategies what generated some debate during the networking session right after the presentations. Besides that, the assistants had the opportunity to watch different demo videos together with the project presentation film. Arriving to this point, it is important to understand that the Project itself does not end. The termination planned for September, 30, 2017 is actually one of the milestones delivering certain findings which are not the final results ready for immediate commercialization. The EiT Consortium is glad to say that it is absolutely satisfied with the research activities and the intermediate results because it means that the work will continue. The Project showed the enormous potential of what was studied and tested and the capacity to improve and refine the technological solutions in order to commercialize them successfully in the market. The Energy in Time Project Team is glad to announce that on September, 26th, Tuesday, we will have an open public event in the International Airport of Faro, Portugal. It coincides with the Project ending after four years of an intense R&D activity, but the end is actually a new start. This is an excellent opportunity to learn the outputs of the Project, the way the solution of monitoring and control of energy efficiency in non-residential buildings works and the future projections. You can also see different live demo shown and explained by the EiT’s Partners and, of course, interact with all of them. So, we are looking forward to delivering you the results because the findings, to our mind, are a great contribution to energy efficiency savings in non-residential buildings. Actually it is more about the practical tools we offer than the Project itself – this is the most valuable part of our work. Energy Efficiency is a priority and a deal that concerns everybody, according the Energy Efficiency Watch Project (EEW). 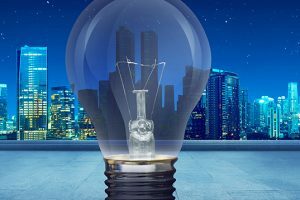 Much work has been already done since 2006, the year when EU energy efficiency policies with the Directive on Energy End-use Efficiency and Energy Services (“ESD”) began to be implemented. Energy Efficiency in buildings is the urgent challenge as stated by many organizations. As mentioned in the latest Report of EEB Project, “buildings are responsible for at least 40% of energy use in most countries. 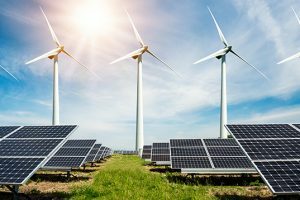 The absolute figure is rising fast, as construction booms.” The urgent action is, therefore, to reduce energy use in buildings. So, we speak about building sustainability. This is especially relevant for the existing building, since many buildings are already constructed and they are an excellent “labs” for testing the new proposals based on new technologies. This situation also sets market opportunities for many organizations.